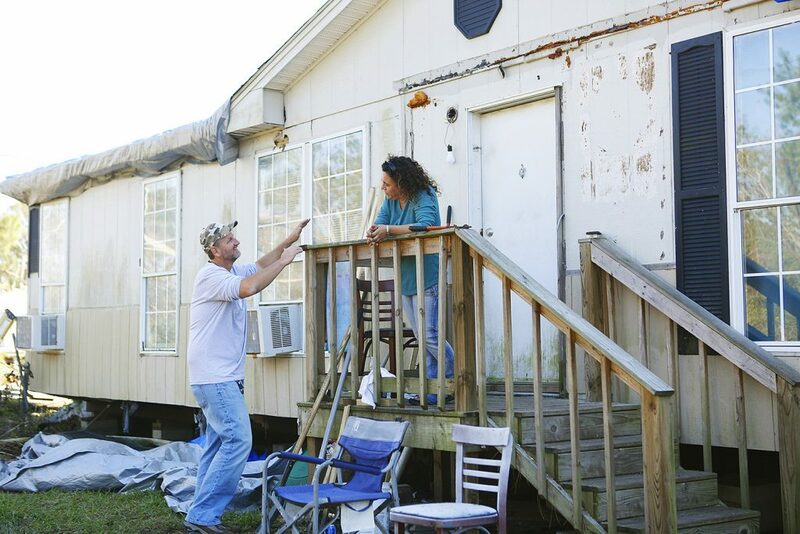 The day after Hurricane Michael made landfall at Panama City, Tish Ogden and her boyfriend, Mike, returned to their home in Bayside, a low-lying community just north of the Hathaway Bridge. As they drove through the battered neighborhoods, she was overcome by a mounting sense of dread. 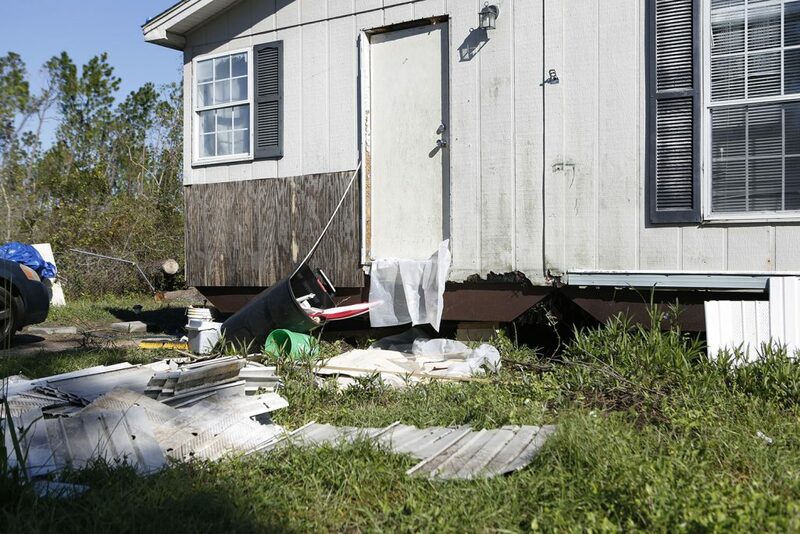 “We had to walk the last mile on foot due to downed trees and powerlines,” she recalls. 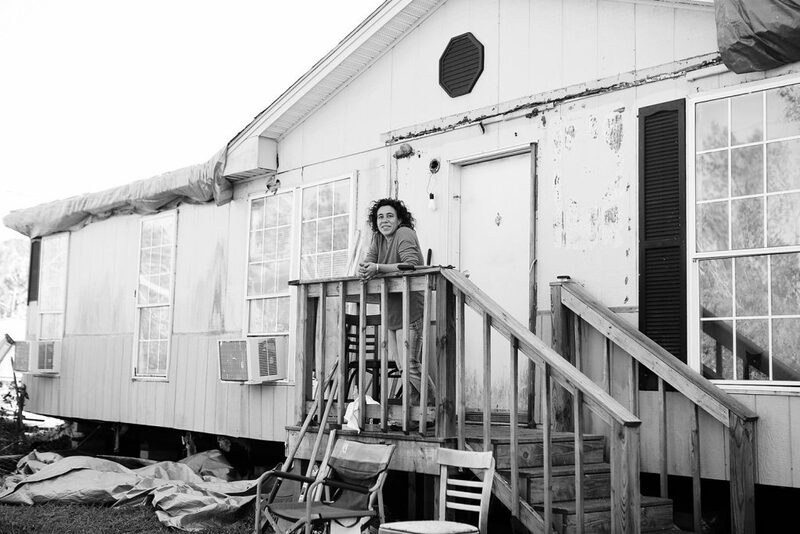 Approaching their home – a doublewide trailer standing just a few feet above sea level – she saw that they were now effectively homeless. The front door had blown away, exposing the interior to rain driven by 140 mile per hour winds. 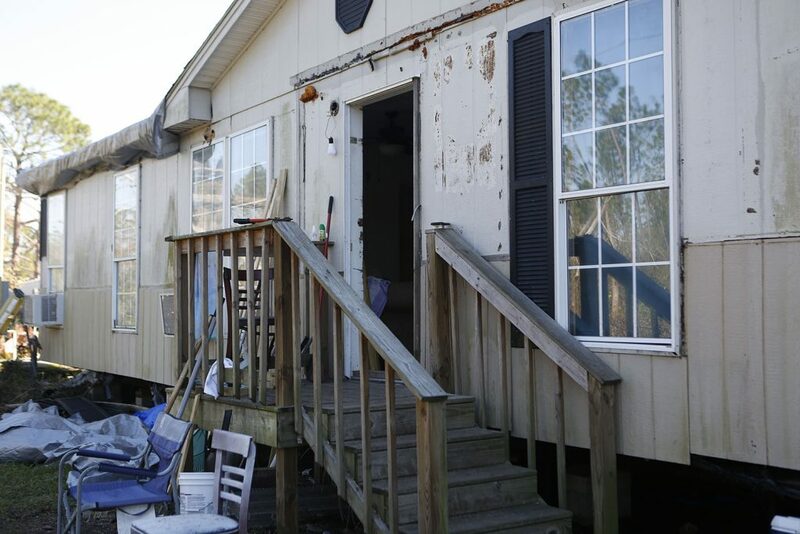 Flood waters and debris had ripped out the plumbing from under their doublewide trailer, allowing sewage to back up — and they had no power. 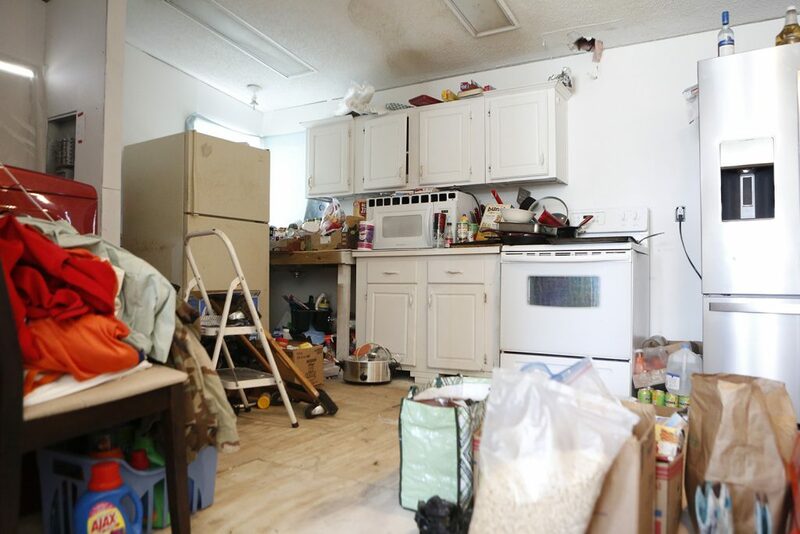 A massive pine had fallen on the home, breaching the roof over her kitchen and bedroom. Incredibly, towels sucked by the storm from her laundry dryer were now caught up in the branches of downed trees across the street. Later that day Tish made her way to the restaurant in Panama City Beach where she worked as a waitress, only to learn that the business had been destroyed. Her boyfriend, a disabled vet, had nearly lost his leg in a recent motorcycle accident and had been wheelchair-bound up until six weeks before the storm. 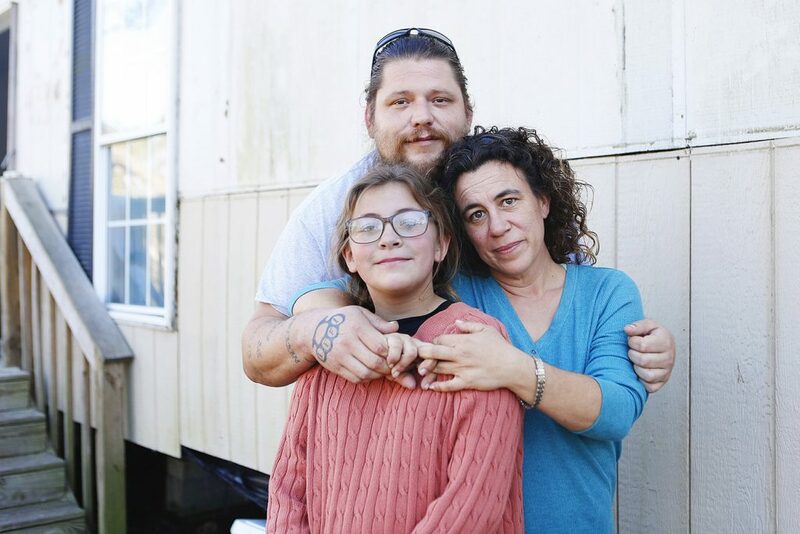 Daily life was now like camping out for Tish and her family. And there was no reason to think it was going to change. Two weeks after the storm, she found herself at the end of her rope, as they still had no electricity, no running water and not much of a roof over their heads. The heat was oppressive and the rain inescapable. They needed help, and needed it right away. She hit send and waited. And then came a surprise. A few hours later, Kim Catellier, The Sonder Project’s Director of U.S. Operations, responded, saying help was on the way. The following day Jeremy Sprenkle, a Sonder Project’s co-founder, and Alec Dalrymple, a volunteer, were standing in Tish’s front yard, assessing the damage. Soon more volunteers arrived. As the days and weeks passed, there was a gathering sense that Tish’s life was returning to a state resembling something closer to normal. 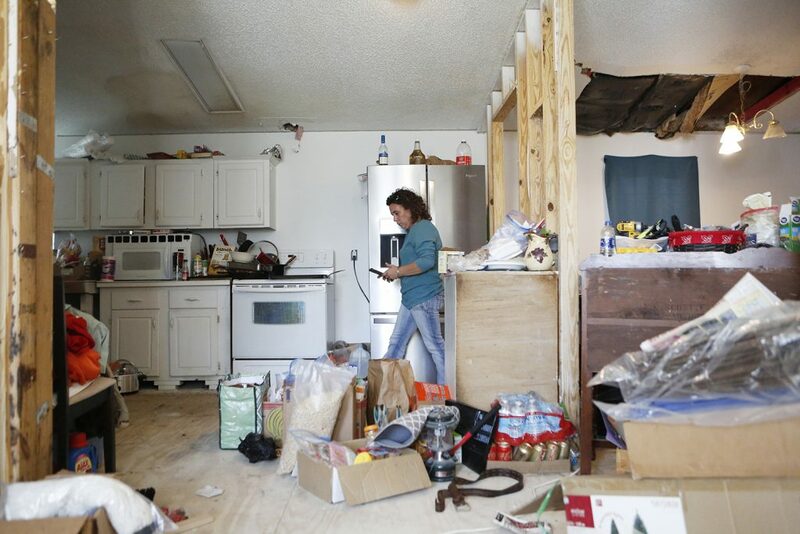 Three months after the storm’s landfall, the restaurant where she worked as a waitress reopened; on weekends she and Mike continued work on their home, making one repair after another. But the key to a full recovery, Tish realized, was in giving back to her community. 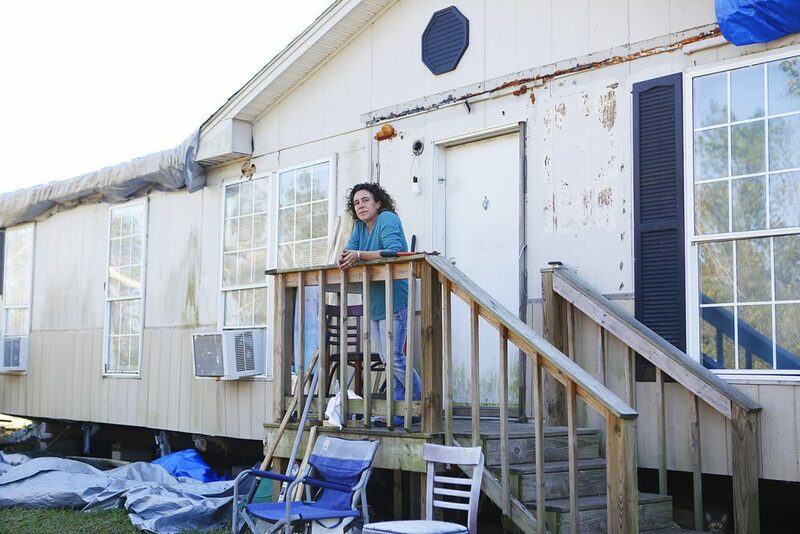 She began by volunteering for a local donation drop off, serving those who were still homeless, and bringing in local stray cats and dogs — four-legged refugees of Hurricane Michael. Strong women have a way of making everyone around them stronger, a reality that can’t be lost this month as we celebrate women Internationally. Tish Ogden is just such an example.